I am doing pants and down at the hem I want a mirrored seam allowance. This beacause the leg is tapered and therefor I wont get the same amount of fabric all the way around the hem. 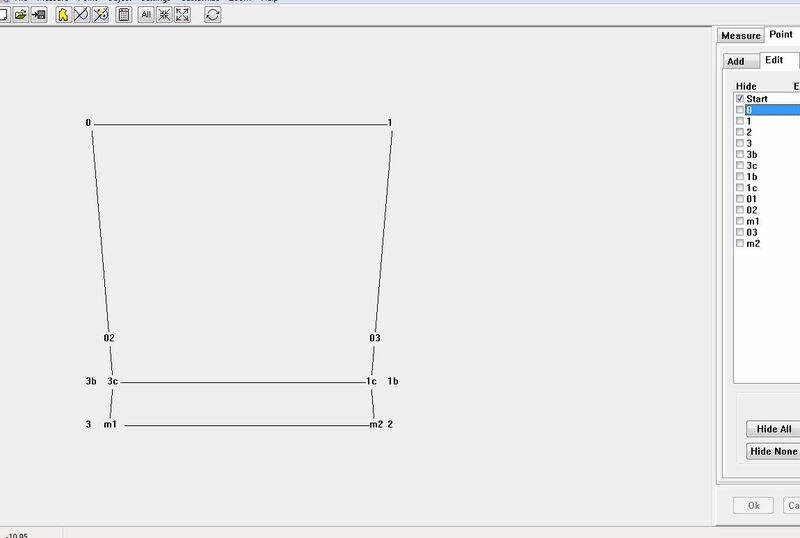 Is this possible to do in Patternmaker? Or mayby I need a higher version? Which version of PatternMaker are you currently using? The Pattern Viewer allows you to print out pre-designed patterns, and the Deluxe Editor allows you to edit those patterns, but not draw from scratch. With the Professional Studio, you can design, copy, modify, and mirror anything you like -- no limits. If you have the Professional you can draft a facing inside the leg. You reflect it, join it, and push the center points down if your center is longer (back pants) or up if shorter (front) and after this you do the normal seam allowances. If you have the deluxe you can do a professional trick. You end the tapering 4 cm before the hem line on each leg. (You add a new point straight 4 cm up) then you have not to bother with the tapering. Or you mirrow the pattern about hemline, draw a line from hemline up and cut the rest of trouser away. Thanks both Tara and Stofftante your replies. Very much appreciated! I only have MacGen and the Patternmaker viewer so far. But if I modify my macro using PT will the change appear in MG somehow? I wish it to automatically draw this kind of seam allowance. If so I will invest in a higher version of PT. I didn't realize that this topic was left hanging, so I hope you see the update after a year! You can certainly use the "Edit Macro" function in PM, but you will need to use the tools that come with either the Deluxe or the Professional versions (the trial is totally free!) to do the editing. I find it easier to use the "Mirror" point in MacroGen, as Heidi suggested. I'll attempt to attach a screen shot here -- it shows the taper on a single piece of a leg cuff plus the flare at the bottom.